Irving Berlin wrote this song for the 1935 film Top Hat, starring Fred Astaire and Ginger Rogers. The song was introduced by Mr. Astaire. 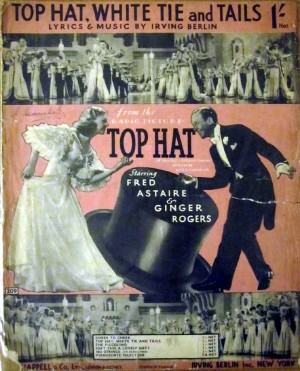 The film is widely considered to be one of the best of the RKO Astaire and Rogers films; the American Film Institute ranked it 15th on its list of best musicals. “Top Hat, White Tie and Tails” was recorded in July 1993 and was released that year on Steppin’ Out. It was arranged by Tony Bennett and Ralph Sharon.